1. Last Monday, the Greek government presented a proposal to the Eurogroup which included important concessions and was unanimously welcomed by the lenders as being reasonable and viable. In the following days, however, the international creditors led by the International Monetary Fund did not accept the Greek government’s proposal to tax the wealthiest sectors of society, restructure the debt and launch an investment plan to revive the economy. 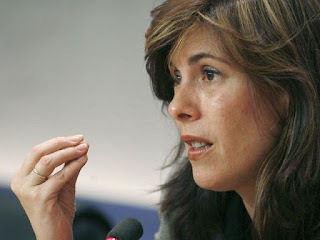 Greece-Troika negotiations: last turns of the screw? Two years after its closure by the previous right-wing government, Greek public broadcaster ERT was back on air on the morning of June 11, 2015. June 15, 2015 – Links International Journal of Socialist Renewal -- For a while in late May, it looked as if the negotiations over the terms for releasing the last €7.2 billion owed Greece under its second bailout package with the European Union, European Central Bank and International Monetary Fund (the “Troika”) just might have some chance of success. Alberto Garzón in his office at the Congress. Photo by Marta Jara. 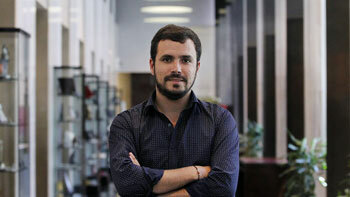 June 1, 2015 -- Transform!, posted at Links International Journal of Socialist Renewal -- Alberto Garzón, a Izquierda Unida (IU, United Left) candidate in Spain's November general election, was interviewed by eldiario.es in his office at the Spanish Congress. The interview was conducted by Aitor Riveiro. Ada Colau, who won the May 24 Barcelona mayoral elections, with Podemos leader Pablo Iglasias. For more on politics in Spain, click HERE. 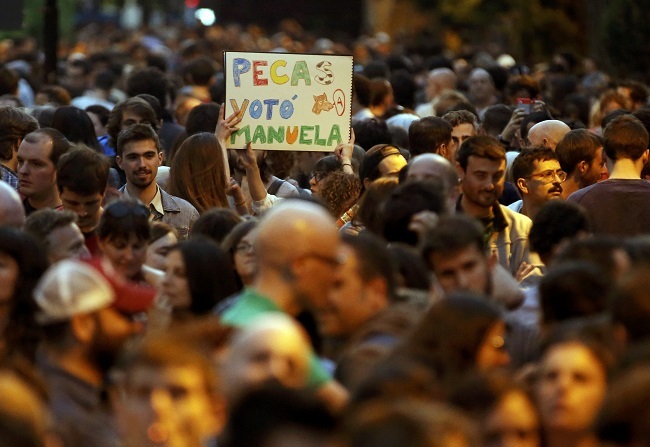 See also "Spain: 'Barcelona Together' and the fight for people-first city councils"
May 25, 2015 -- Green Left Weekly, posted at Links International Journal of Socialist Renewal -- Popular left-wing activist activist Ada Colau has won Barcelona's May 24 mayoral elections. 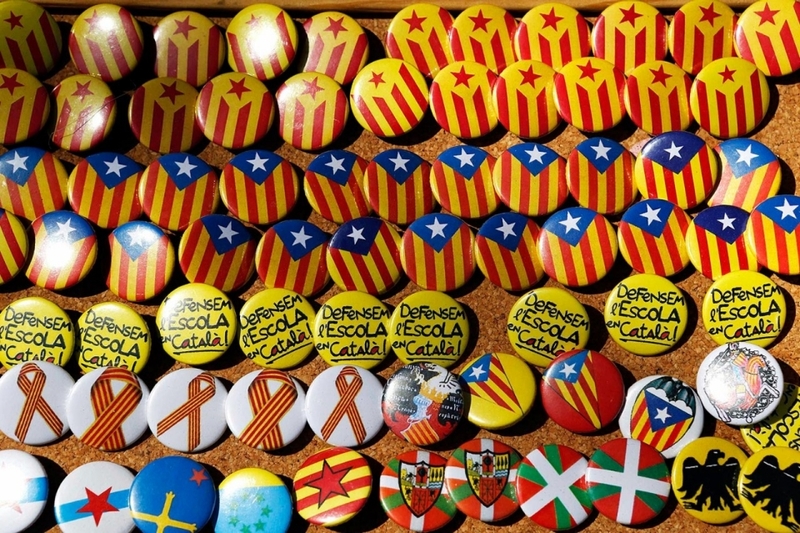 Running on the ticket of "Barcelona Together", which united several left groups and grassroots activists, Colau came first with 25% of the vote. 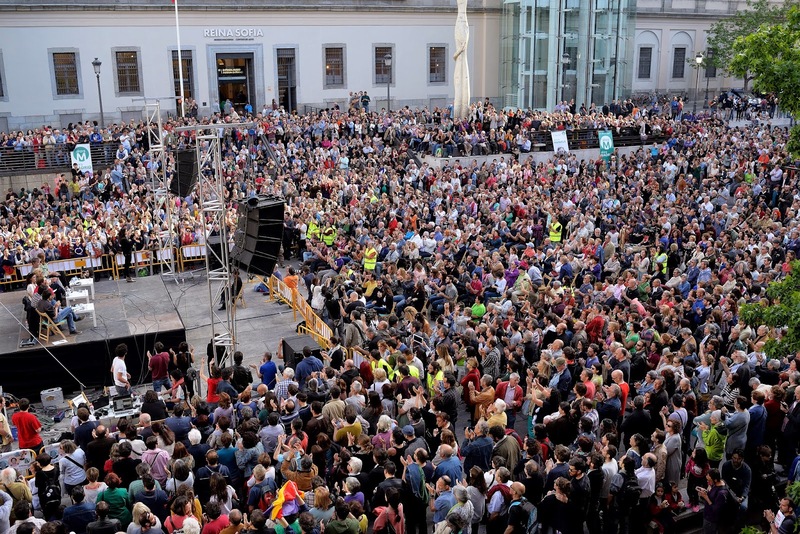 Spain: How did the radical new mayor of Barcelona win Spain’s second city? 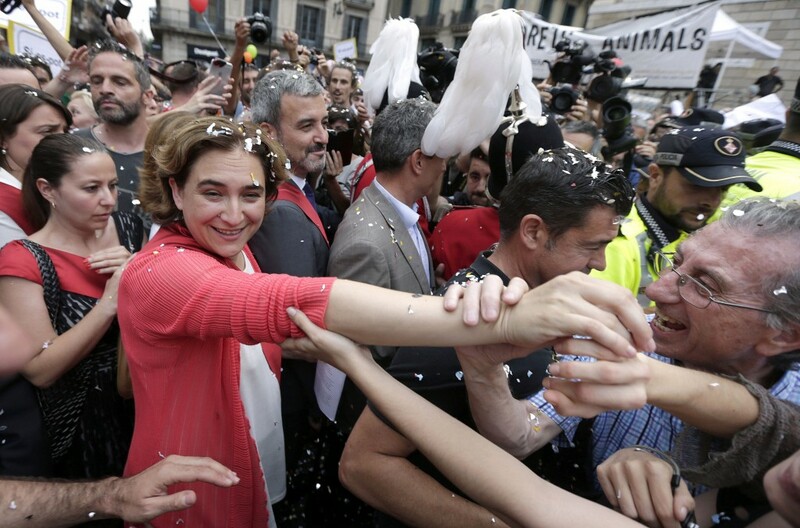 May 25, 2015 -- Revolting Europe, posted at Links International Journal of Socialist Renewal -- Former anti-eviction activist Ada Colau was elected the new mayor Barcelona in the municipal elections on May 24. 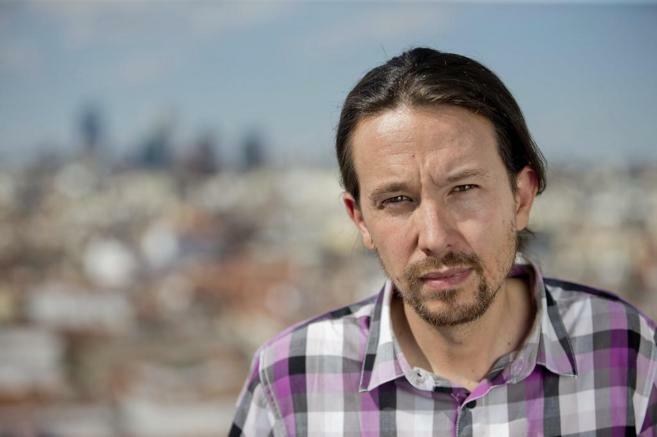 Ahead of the victory of the radical campaigner, who was backed by a coalition including Podemos and United Left, she spoke to Il Manifesto newspaper. 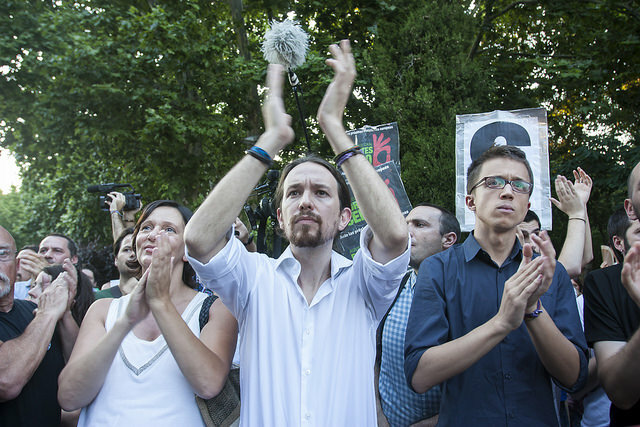 "Podemos, whose decision-making process is based on online voting by a passive mass membership of 300,000, is a highly centralised operation that is in many ways the polar opposite of the grassroots democracy of 15M."